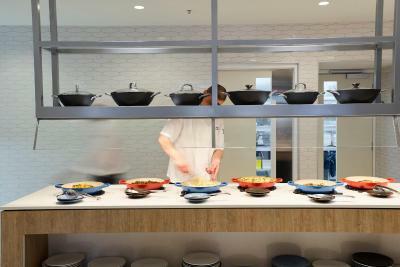 Lock in a great price for Pullman Melbourne On the Park – rated 8.4 by recent guests! This is the Best Hotel ! Location is a little walk up the hill from Flinders & Spring St where one catches the free tram to tour downtown. Better location than downtown with all of the noise and chaos. The rooms are Outstanding- high floor with a view of the Fitzroy Gardens is wonderful. The morning breakfast buffet is Great (part of our hotel stay was the meal plan) and worth the few extra bucks. We were on the Executive Louge Floor - again well worth the extra bucks as there are lite canapes and drinks in the evening and a Superb view of the City and the Melbourne Sports Complex. Bed and pillows were very comfortable. Service and staff were wonderful. Great location with clean rooms. Staff were always friendly and very helpful. Reception staff very friendly and efficient. Staff very polite. Appreciate the Room Upgrade as it was my birthday on Saturday. Thank you very much. Helpful Staff. Very comfortable room. Good Food and a really convenient location served by public transport and close to really nice outdoor amenities. I would strongly recommend Pullman on the Park to friends and Colleagues alike. Being able to walk through Fitzroy Gardens to the city and sitting having breakfast looking out on to the gardens is very appealing. 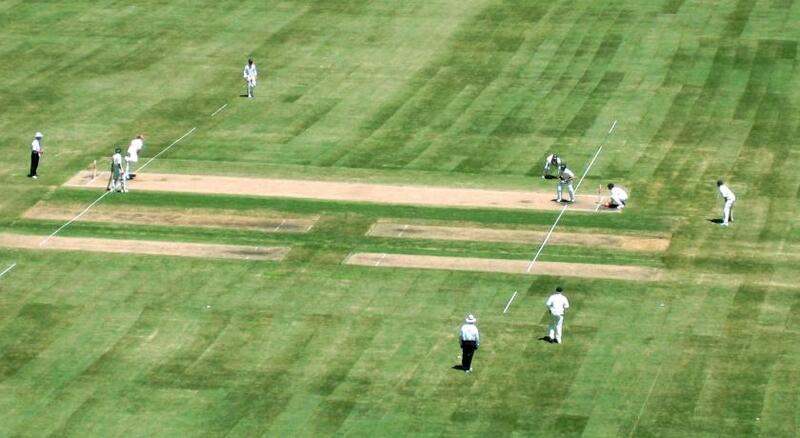 We had a corner room and my husband was very happy looking at the MCG whereas I loved looking out at the gardens. We stayed in this hotel when it was the Hilton quite frequently and were not disappointed now that it has changed hands. The service is still friendly, efficient and helpful. The rooms need upgrading but apparently that is happening in the near future. Nice, comfortable place to stay. The rooms were clean and the bed was nice. Bed was comfy. Check in and check out was efficient. Great location, stylish and comfortable room, extremely helpful and friendly staff. 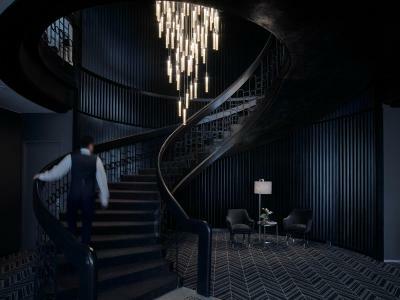 Pullman Melbourne On the Park This rating is a reflection of how the property compares to the industry standard when it comes to price, facilities and services available. It's based on a self-evaluation by the property. Use this rating to help choose your stay! 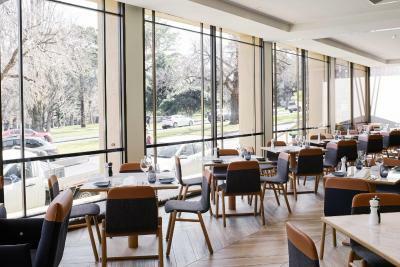 One of our top picks in Melbourne.Located in East Melbourne, Pullman Melbourne On the Park overlooks the iconic Melbourne Cricket Ground and Fitzroy Gardens. Guests enjoy a fitness center. 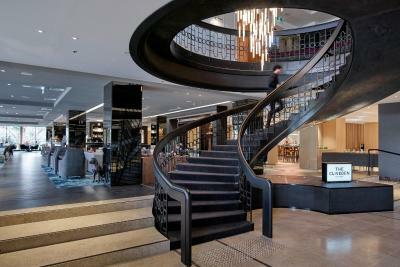 Pullman Melbourne on the Park is only a 2-minute walk from the Jolimont Station and less than 1.9 mi away from Rod Laver Arena, the Royal Botanic Gardens and Princess Theater. 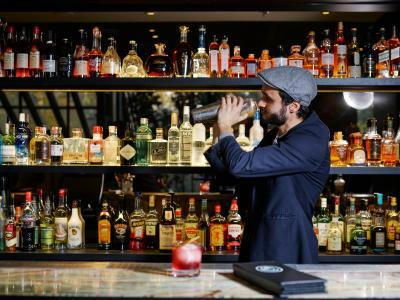 Melbourne’s shopping venues and cafés can be reached within a 5-minute drive. Elegant nonsmoking rooms and suites are set in a modern décor and fitted with large windows. 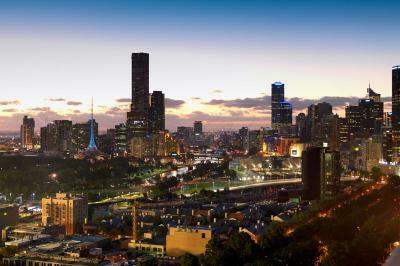 Most rooms offer views of the Melbourne City. Guests can enjoy free WiFi or watch an on-demand movie on a flat-screen TV. The property features an outdoor pool, spa and sauna. The connectivity lounge has multiple connection points, high-speed WiFi and flexible seating. There are also 11 meeting rooms with high-quality audio visual equipment. The Cliveden Bar & Dining offers breakfast, bar snacks, lunch and dinner. 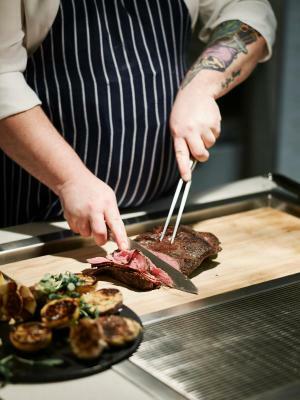 European and Mediterranean-inspired dishes are made with fresh and seasonal local produce. 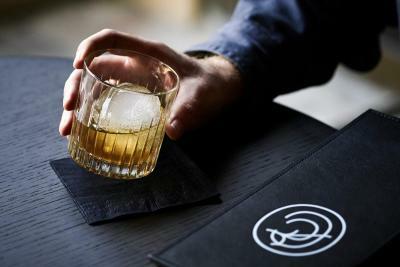 The Cliveden Bar has a double sided fireplace and an all-day shared dish menu. 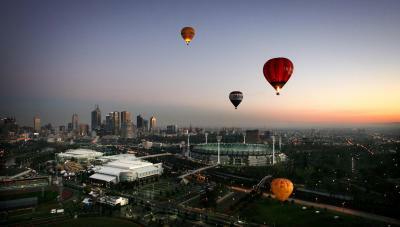 East Melbourne is a great choice for travelers interested in sports, entertainment and food. 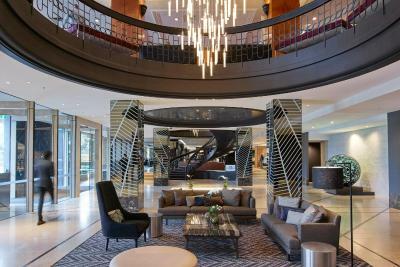 When would you like to stay at Pullman Melbourne On the Park? These Executive Rooms have access to the 18th floor lounge, including breakfast and drinks with canapés served in the evening. The room has either 1 king-size bed or 2 single beds and an private bathroom with bathrobes. There is a mini bar and tea/coffee making facilities. This spacious hotel room has either 1 king-size bed or 2 single beds. Lounge in the armchair and enjoy the views of East Melbourne or watch a movie on the 40 inch TV. All rooms have an private bathroom with bathrobes. There is a mini bar and tea/coffee making facilities. Located on a high floor, this premium room has either 1 king-size bed or 2 single beds. Enjoy the spectacular views or settle in for a movie on the 40 inch TV. All rooms have an private bathroom with bathrobes, mini bar and tea/coffee making facilities. This triple room features a seating area, mini-bar and electric kettle. Rooms are 56 square yards. 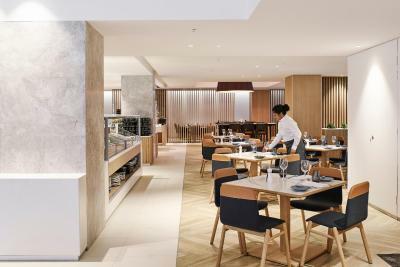 Pullman Melbourne on the Park is ideal for leisure, business, conference and special event guests, with modern comforts, attentive service, the hotel sets the benchmark in quality upscale accommodation. 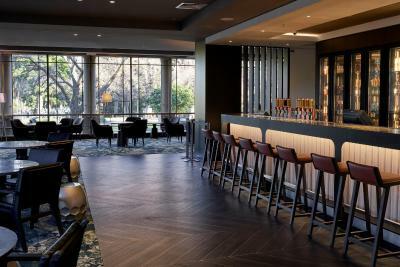 Ideally located on Wellington Parade, East Melbourne, the hotel overlooks Fitzroy Gardens, the Melbourne Cricket Ground (MCG) and Melbourne’s entertainment precinct. 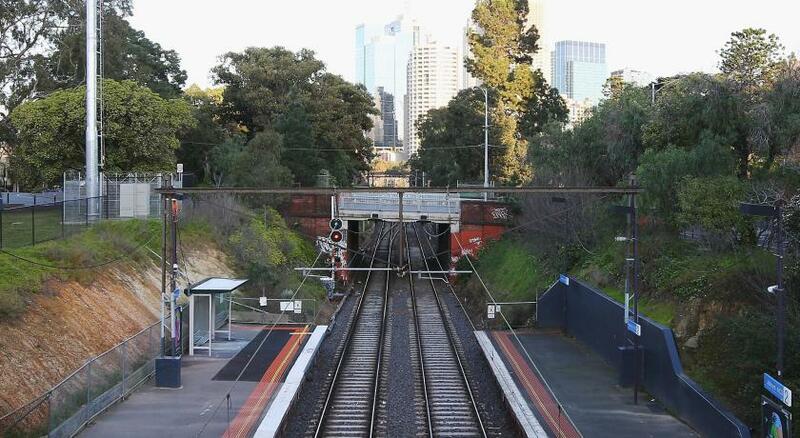 It is only a short walk from Melbourne’s CBD, with easy access to public transport. Hotel surroundings – This neighborhood is a great choice for travelers interested in sports, entertainment and food – Check location Excellent location – show map Guests loved walking around the neighborhood! 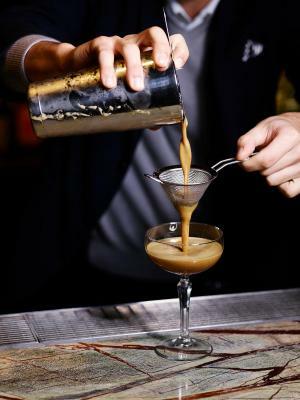 House Rules Pullman Melbourne On the Park takes special requests – add in the next step! 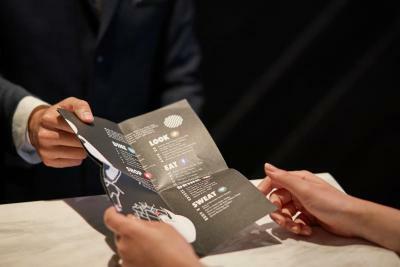 Pullman Melbourne On the Park accepts these cards and reserves the right to temporarily hold an amount prior to arrival. Please note that parking costs AUD 35 per day. Valet service is also available for AUD 49 per day. Please note this property is strictly nonsmoking throughout. Restaurant is quite expensive, if you have small children. 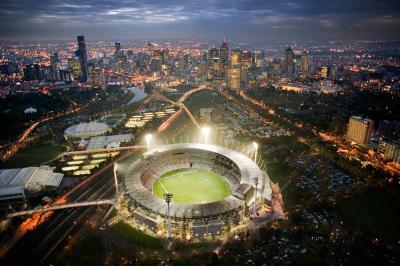 The location of the Pulllman is perfect for guests wanting to attend the AFL or sporting events in Melbourne. The rooms are very comfortable with very modern facilities. Onsite parking is a real bonus. Windows are so dirty, they look like haven’t clean for long time, even though we have a nice boy, but it is hard to enjoy because of the dirty windows. Apart from that, everywhere is not that clean , maybe everything is too old too clean. Facilities are under standard if it was showed 5 stars on review. Hair dryer is broken, I have to call to request another one. I like the staff, they were very friendly and helpful. Great buffet breakfast. Right opposite train and trams. Easy access to city. breakfast was fabulous, we had steak sandwhich and drinks for lunch in the bar the day before which was also good. Before I retired I was a quality bed retailer and I was surprisingly impressed with the comfort of the bed and pillows. Well done. This place is OLD...and the updates are sad. The lobby reeks of perfume and is way overpriced for what it is. Bathrooms need major upgrade, long overdue. It is not pleasant or safe to have to climb in to the bath to shower and the bath is in need of an update. Over the years we have stayed at this hotel many times and other than the bathrooms definitely now needing a major overhaul it is made up by The friendliness of all staff and the cleanliness of the room. The upgraded foyer and bar area is excellent, the coffee is great. Staff excellent helpful and accommodating. Parking is to expensive considering what the rooms cost.